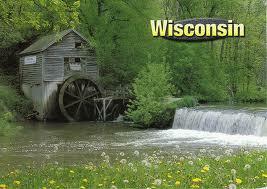 The state of Wisconsin features well over half a million commercial businesses and many thousand commercial artists. Now that technological advances in digital media design have simplified the process of multimedia production, artists all over Wisconsin are pursuing employment as audio-visual editors. Many dozen Wisconsin Universities, colleges and independent design schools host workshops and offer various degree options in multimedia arts. Wisconsin design colleges with famed multimedia divisions include Viterbo University in La Crosse, Edgewood College in Madison, University of Wisconsin in Milwaukee, University of Wisconsin in Green Bay and University of Wisconsin in Kenosha, to name a few. Other educational options also exist. Many Wisconsin artists train and earn degrees at accredited online design colleges. A few of the more successful examples include The Art Institutes, Full Sail University, Stratford Career Institute, DeVry, ITT Tech and University of Phoenix. Some online design programs also feature local campuses and resource facilities. The Art Institute has a campus in Milwaukee. University of Phoenix has campuses in Madison and Milwaukee, as well as in Grand Chute and Brookfield, not far from Milwaukee. ITT Tech maintains locations in Madison, Germantown, Green Bay and Greenfield (near Milwaukee). DeVry is physically accessible in Milwaukee and Waukesha. Major corporations and private businesses alike hire talented multimedia professionals. Local audio-visual editors often work at Wisconsin TV stations like Edwards-Broadcasting and WISN in Milwaukee, L&L-Communications and WMSN-Fox-47 in Madison or Aries-Communications and WBAY-TV-Channel-2 in Green Bay, for example. Wisconsin sound editors sometimes join local radio stations like Bay-View-Broadcasting and V-100 in Milwaukee, Wisconsin-Public-Broadcasting and WXXM in Madison or CBS-Radio and WROE-94.3 in Green Bay, among others. Professional multimedia editors employed full time in the state of Wisconsin report an average annual earning of about $46,120 per year, with a reported mean hourly wage of around $22.20. Multimedia editors are primarily mixed-media artists who specialize in the organization, enhancement and alignment of sound and motion graphics. Technical skills involved in this profession include photography, videography, lighting, set design, script writing, original music and original artwork, as well as computer operating systems expertise and proficiency with digital editing software applications. Popular audio-visual editing software programs include Avid Media Composer, Avid Xpress Pro, Avid Liquid, Adrenaline, Adobe Premier, Final Cut Pro, After Effects, Photoshop, Illustrator and 3D Studio Max, among others. Interpersonal skills most preferred of professional multimedia editors are communication, reliability, detail orientation, mechanical competence and artistic talent.